Last week, as I was taking a roundabout way back home, I drove by two houses that already had their Christmas trees up. I love twinkling lights as much as the next person, but I was surprised to see those trees dressed and ready to party for the holidays. After I got home, I looked at my calendar and realized that the holidays were going to sneak up on me in about a week. I’m always thinking year-round about gift giving because I love giving and getting gifts. Since our family celebrates Christmas, I like to make sure all of our gift purchases are done as close to the beginning of December as possible because I can’t deal with holiday-related shopping, offline or online. This year, Ninja’s side of the family will be doing our first secret Santa exchange using a site called Elfster. We really wanted to make sure that we were giving something meaningful and not just stuff this year. The kids will be getting three things – something to read, something they need and something they want. As my early gift to you, I present my first-ever Favorite Things Winter 2015 gift guide for all your winter holiday gift giving needs. My fellow #AsianMomBloggers have also created gift guides for your perusal. There may be affiliate links throughout all of our posts. As a BONUS, we are also doing a $100 Amazon gift card giveaway to help make giving your favorite things easier. You can enter below (scroll all the way down). Bring on the holidays! Our November blog carnival features gift guides from carefully curated products. 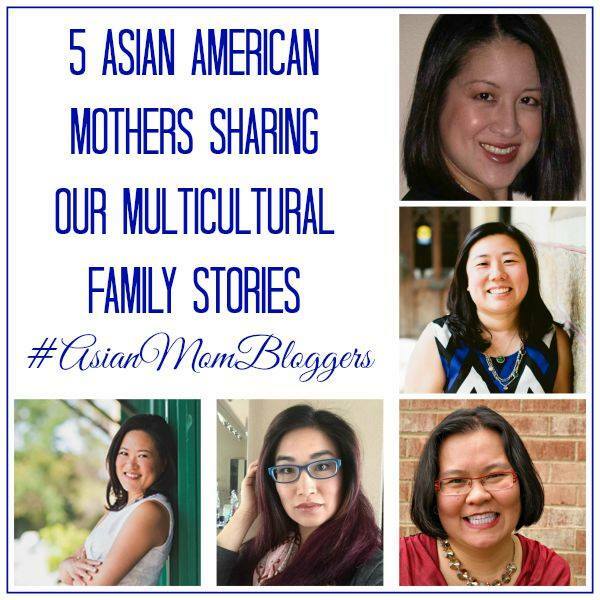 Get unique gift ideas from my fellow #AsianMomBloggers and enjoy your holiday! May your holiday shopping be peaceful, joyful and full of all your favorite things. I’m a big fan of Baby Blastoff! because of their cool kids clothing that bust through stereotypes. It’s perfect for the kids (or parents) that want to go beyond the typical colors and images you usually find in stores. Learn more about how I discovered them and why I love them so much. Plus, it’s a small business startup by a mom – how awesome is that? Most of their sizes go up to 24 months. 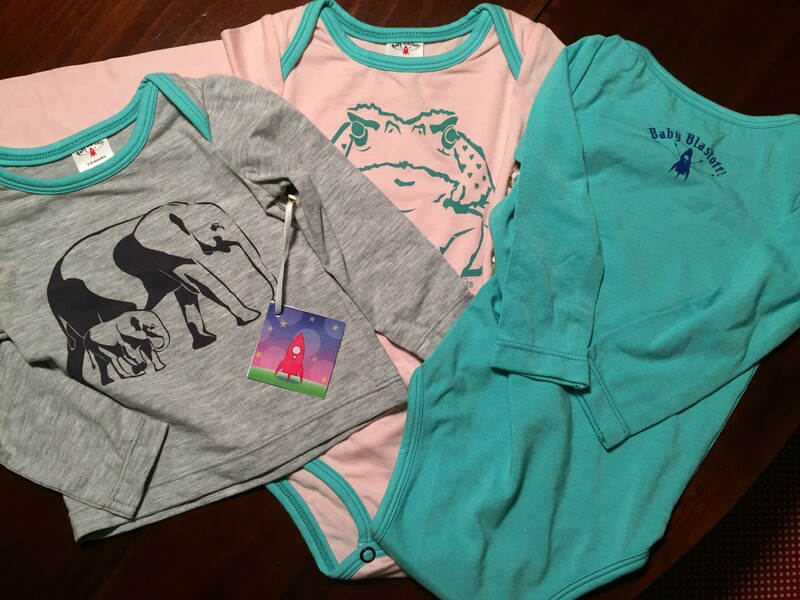 One of my more recent favorite finds for kids’ clothing is Hanna Andersson. I love everything about them, especially their cotton underwear that doesn’t cause wedgies! Their clothes are long-lasting, have the perfect amount of room to grow and feel soft. Hanna’s pajamas are the best and they have them for the whole family! 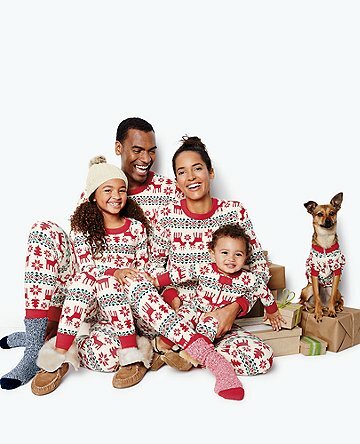 You could start a new tradition with the whole family wearing matching jammies on those holiday mornings. They even have Star Wars™ themed ones that would be perfect for that Star Wars™ marathon right before the new movie comes out in theaters. Dear Yeti by author/illustrator James KwanThis adorable picture book is written and illustrated by the up and coming James Kwan. Dear Yeti follows the adventure of two hikers in search of Yeti and they discover that Yeti is the best kind of friend you could have – the one who always comes to help you when you need it. This book is on my favorites things this year because it’s written and illustrated by an Asian-American (hooray!) author/illustrator and who also happens to be the brother of a friend. Kwan’s book was just released at the beginning of November and can be purchased at Amazon through my affiliate link above (just click on the title of the book or on the image). All the kids in my life will be getting this book! Red: A Crayon’s Story by Michael Hall My friend Casey from Life with Roozle told me about this fabulous book – Red: A Crayon’s Story. I ordered it immediately and we’ve read it several times. It has the perfect message for kids and adults alike – be true to yourself and follow your own arrow. I would recommend this book for 4 years and up. Click on the image of the book to order this for everyone on your holiday gift list. Spot it! is one of our favorite games to play as a family because a three-year-old or a 75-year-old will have fun playing this together. There are various versions of this game, including Shopkins or Frozen themed. It’s small, portable, easy to play and fun. It’s perfect for traveling and for having an accessible game between all the siblings. Have a future producer/director? The VTech Kidizoom Action Cam will be the perfect gift for them. This can go underwater and also attach to a bike – it’s like a GoPro for kids. It has a microSD card slot, so you may want to also buy a microSD to go along with it to increase the storage capacity. Finally, I have to include the Amazon Kindle for kids. You can get a two-year accident protection on it and it has great parental controls for how long they can binge on Netflix, read books and when it’s time to go to bed. We travel with it all the time with books and apps loaded up for Ninjette. I love that I can set how long she can have screen time for and that she knows the Kindle will shut off at bedtime. I’m also a big fan of the two-year accident protection since the likelihood that it will get dropped or get juice spilled on it is always high in our house. When Ninjette is not using it, Ninja and I can log in and read our e-books. DIY Jewelry Kits from LinkoutureMy friend Bev from Linkouture is selling some great DIY jewelry kits. My favorite is pictured above – the sterling silver freshwater pearl spiral necklace. She has a great tutorial for it and now the DIY kit will make it easier! You can give this as a gift to your crafty friends and family members or you can buy this and make a beautiful handmade gift for someone. She also has great unique and handmade pieces on her Etsy shop and can also create something custom. I love that she is a local small business and mompreneur. Adele’s latest album “25” For all music lovers (and for non-music lovers), you must run out and buy Adele’s latest album. Go buy the actual CD. It may bring about holiday miracles. We’ll go karaoke some Adele in 2016, so I hope you and everyone who gets Adele’s album will have it on repeat non-stop. And that’s it for products! My #1 favorite thing for 2015 is the gift of an experience. It could be tickets to a Broadway show, a night out at a totally hipster restaurant, a trip to the museum or a coupon book full of date nights. Kids will love this and so will adults. 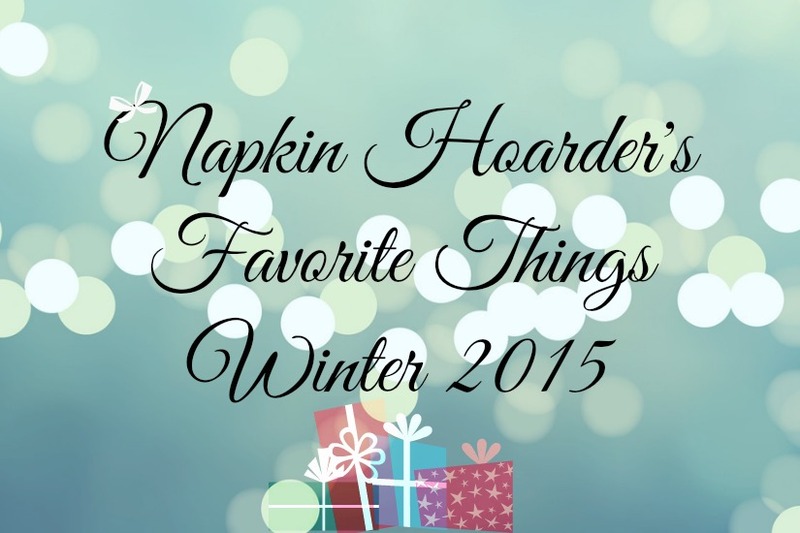 I hope you enjoyed my list of favorite things and that you will find some of your favorite things from this list! I like how you broke out ideas for adults and kids. BTW we love Hannah Andersson clothes! I like the Adele album and the kindle. I like the DIY Jewelry kits! That freshwater pearl necklace is so pretty! I remember meeting Bev at BlogHer ’14. I love that necklace, too! And yes – she was there! I NEED the Snakeable cord. We are losing our minds with how flimsy our apple cords are. Thank you! Great list! I’ve heard great things about Hanna Andersson but haven’t actually checked them out yet. I’m going to look them up now. It’s a great necklace!!! Oh yes – love Hanna Andersson so much! That VTech Kidizoom Action Cam is awesome!! The matching jammies are fun! I think the matching pajamas from hanna andersson would be so fun for my family! My favorite is the Adele album! I like the Adele Album, she’s one of my favorite artists. I really love the Linkouture Diy kits, especially the freshwater pearl earrings. I would love to give or receive any of them. Love the family in matching PJs (high dream) and the cable because – augh! cables that break!